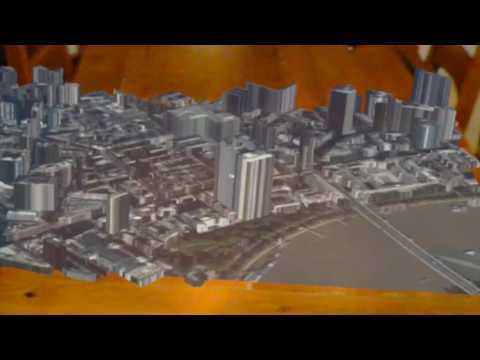 A quick look at #3D mapping on #HoloLens with #unity. Provides a custom editor to import a Geo Bounding Box into Unity as a 3D mesh which is textured with a satellite image using the Bing Maps static API. To use you can add an empty GameObject into your scene and then add the ThreeDMapScript as a new component to that GameObject. The custom editor for this component will provide some inputs to allow you to define a bounding box in terms of latitude and longitude. Also, you can specify the height of the levels used for the buildings. This could also be sourced from other data sets so could be a more accurate representation of the building heights. Once set the Generate Map button will cause the script to call the REST API to retrieve the GeoJSON and the satellite image, generate the meshes and apply the required material. Each building is currently represented by a separate mesh as can be seen in the scene hierarchy window and is named from data in the GeoJSON.